State of the art coax digital has arrived. Flawless digital signal transmission using the legendary Matched Propagation technology. Applied to SPDIF (75 ohm) applications you are treated to completely neutral and transparent playback. This is the reference digital cable all others are measured by. Clear Digital SPDIF replaces Lightning 15 as our flagship digital coax. 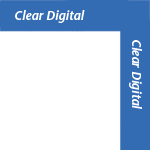 Clear Digital comes terminated with Cardas SRCA plugs, or BNC. Click here for a list of all digital cables. Have questions about our products, or need help selecting the right cable? Call 541-347-2484 and ask for Tech Support (M-F, 9AM-5PM PST), or email support@cardas.com.